Sometimes the journey is more incredible than the destination itself - as these jaw-dropping elevators prove. Travel has rounded up some of the most incredible and exhilarating lifts from around the world, where the ride to the top is as thrilling as the view. 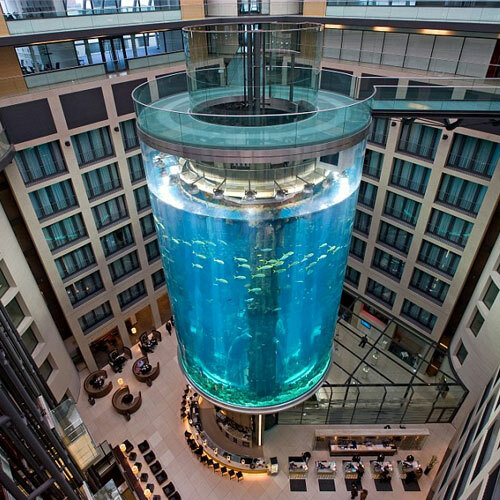 Standing at 82ft high and containing over one million litres of water, AquaDom inside a Radisson Blu hotel in Berlin is said to be the largest cylindrical tank in the world. Guests can ride inside the AquaDom's lift to see some of the 1,500 fish (and 97 species) up close.